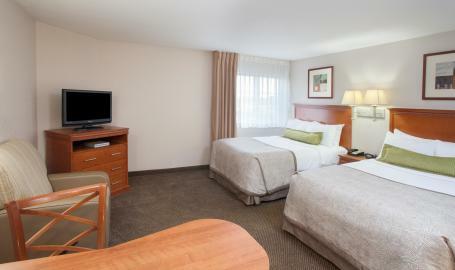 Free guest laundry, pet friendly, free high speed internet access, business center, fitness center, free local and toll free calls. Handicap rooms available. 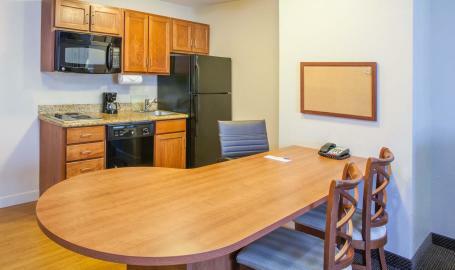 All suites have full size refrigerator, cook top, microwave, dish washer and utensils. 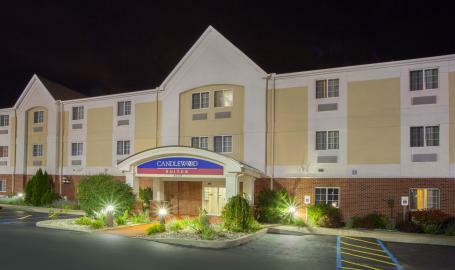 Extended stay rates available. Location: I-65 Exit 253. Priority club points.